Exercise bikes – you’ve heard of them, right? And seen them? If you’ve been around a few big fitness stores or gyms, you’ll probably have seen a whole bunch of them. Some of them look very different to others as well, because exercise bikes come in different types, not to mention they often have brand or style differences as well. This makes it very hard to decide what the best exercise bike is, since it depends on your individual needs. Today we’ve put together a bit of our info on bikes for you. This will help you to learn more about different bikes or what bike would be good for a specific use. There are also recommendations based on price, use or specific brands, as well as some comparison pieces. Take a look, there’s sure to be something that will be helpful to you! Perhaps you’re looking for a budget exercise bike, maybe as a first venture into the world of home fitness and bikes. We know that there are those who like a specific type of bike more than others, so there are picks for each type (recumbent, upright, spin) in this post. 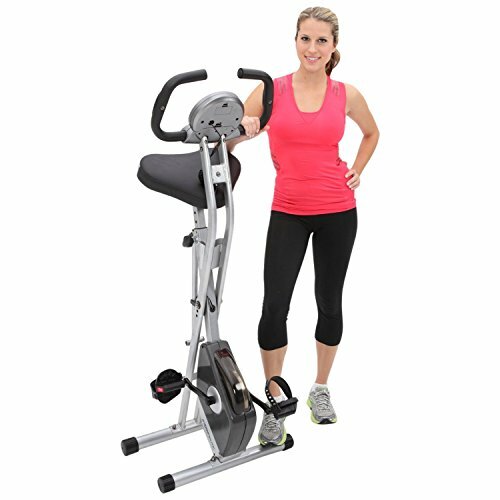 Exerpeutic’s Folding Magnetic Upright Bike was the top pick overall. The Exerpeutic Folding Bike is a great bike with a lot of versatile uses and a great, solid build. It offers a lot of resistance levels so all levels can use It. The bike itself is sturdy and long lasting with the folding feature making it a space saver too. Add to these that the price is low for an Exerpeutic Bike. Click here to see our breakdown of the best exercise bikes under $200. Again we take a look at a few different types of bike in this article, this time focused on mid-range bikes. Top end home bikes can go well into four figures so this price range is modest though it’s probably above what a beginner would need. 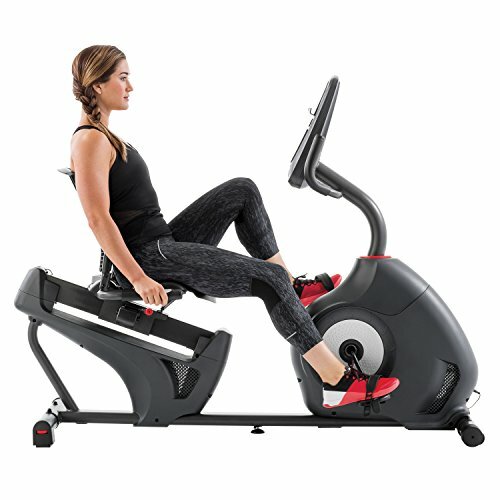 Top prize went to the Schwinn 230 Recumbent Bike is a comfortable bike to use and is also great for injury rehab and for anyone with back or leg issues. 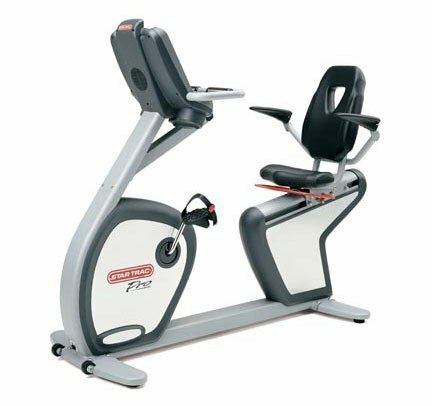 Being a recumbent bike gives it an extra comfortable seat and a normal, well supported seated position. 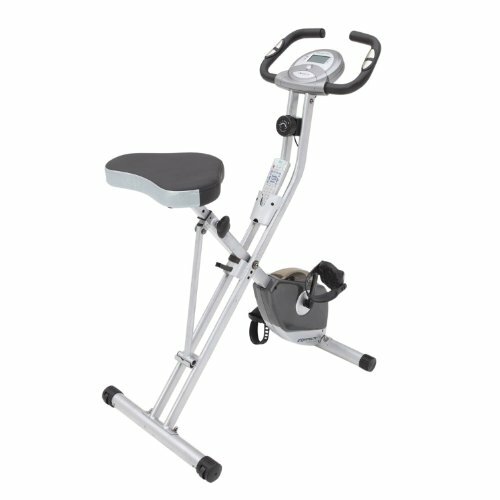 Your legs still get a great workout though, and this model has an informative and easy to use LCD screen and panel. Click here to see our breakdown of the best exercise bikes for $500 or less. 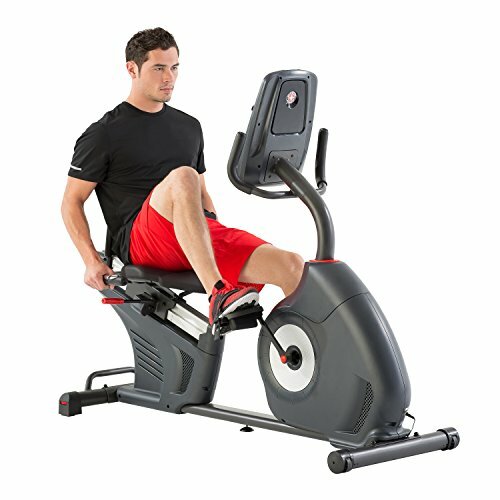 One of the big questions around exercise bikes is “what’s the difference between uprights and spin bikes?” Well you can obviously see the difference, but what I mean is, what are the pro’s and con’s of each type, and how do their effects differ? We break a few down for you too, such as the Keiser M3i, talking about the specific benefits and drawbacks to the specific models which are mentioned. 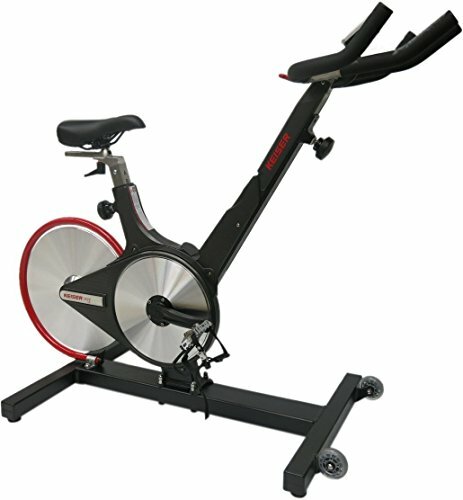 By the end of the article you’ll know exactly how a spin bike differs from something like the Marcy Upright. You’ll know which is best for you and also what uses each one is better for. For more, check out our article on upright bikes vs spin bikes. This look at bikes against treadmills is handy if you’re unsure about which piece of equipment to use. 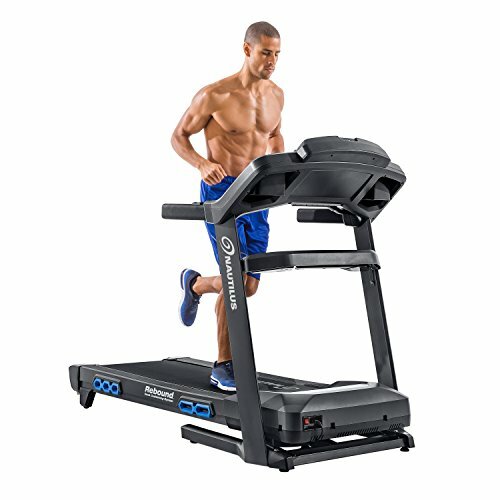 There are a few specifics mentioned on models like theCybex 750T and others, both treadmills and bikes. You can find out exactly what drawbacks both the treadmill and bike have, and the benefits of both as well. For more, check out our article on exercise bikes vs treadmills. While uprights can look a little like both recumbents and spin bikes, recumbents and spin bikes definitely look very different to each other. One has you in a traditional cycling position and looks like a bike, whilst the other reminds me more of a pedalo – you’re in a normal seat with your legs out in front of you to pedal. 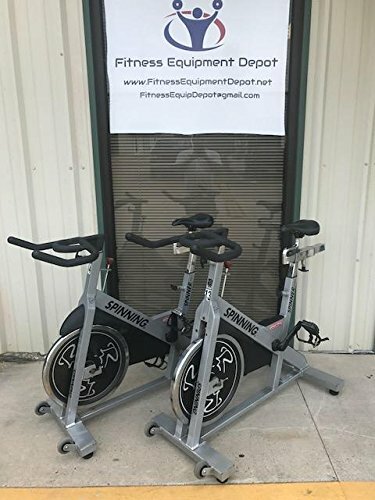 Spin bikes, such as the Sunny Indoor Cycle, are preferred by more serious riders, especially those who are preparing for races or endurance events on an actual road bike. 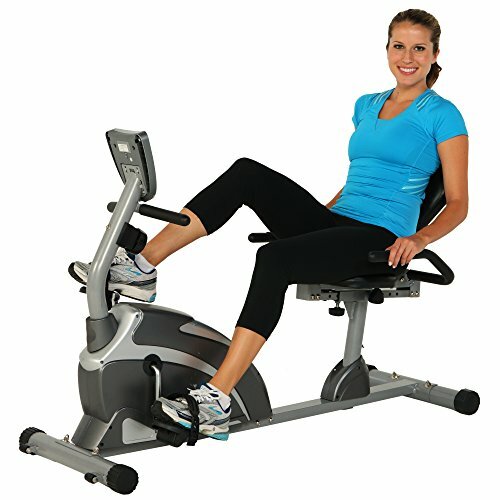 The recumbent is usually preferred by people who just want a good, comfortable workout. 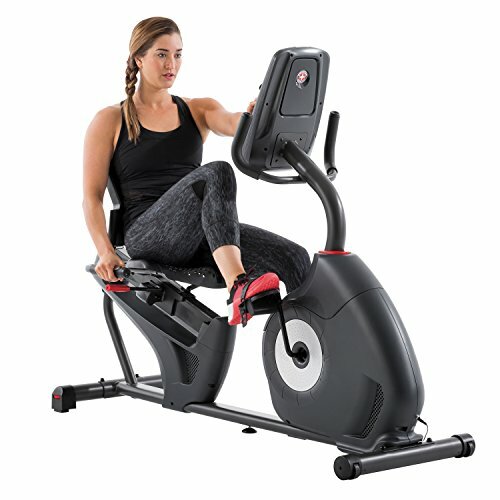 Something like the Schwinn 230 Recumbent Bike is much more comfortable than a spin bike and has a lot of uses for frailer users or those with injuries. Recumbents are also great for all types of back and joint problems. For more, check out our article on spin bikes vs recumbent bikes. Spin bikes are created to be as close to an actual road bike as possible. Realism is the aim and a good spin bike, such as the Merax Indoor Bike, will give a great workout and can work all attributes needed for riding a road bike. With that said, spin bikes aren’t for everyone. If you’re using them as a supplement to other training goals, they might not be the best item for you. Take cardio for example, some people will see better improvements from using something like a treadmill instead of a spin bike. 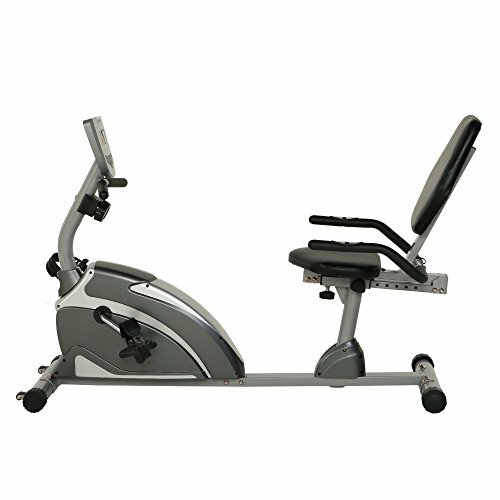 The Nautilus T618 is a great tool for general cardio and can be used for both aerobic and anaerobic workouts. Click here to read our full breakdown on spin bikes vs treadmills. Are you trying to rehab a knee injury? Exercise bikes are often recommended for knee rehab, so we’ve taken an in depth look at some of the best bikes around to see which would be most useful for knee rehab. The Sunny Pro Indoor Cycle stood out as a good tool for advanced knee rehab, though there are other options here too. Take a look at the pro’s and con’s of each and make a decision based on your needs. Click here to learn about the best types of exercise bike to rehab a knee. Sometimes knee injuries are chronic and can’t be completely fixed or rehabilitated. In these situations, you would need to find a comfortable piece of exercise equipment for long term use, one which won’t further damage your knees. Our pick for these situations is the Schwinn 270 Recumbent Bike, but we’ve also looked at uprights, spin bikes and budget based choices. There’s something for everyone here as we teach you what each bike type would be best for, and why it works. Check out our article on the best exercise bikes for knee problems to learn more. With the recumbent bike being a recommended for people with lower back or disc issues, they’re seeing a lot more use in gyms and homes all over the country. Top picks like the Star Trac Recumbent Bike are dominating the market, and we’ve combed through the pack leaders to give you a bunch of options. Find out more in our piece on the best recumbent bikes. With the obvious comfort and advantages for people with lower back & leg problems, it’s no surprise that seniors are one of the groups who really benefit from a good recumbent bike. We have put together some great options for you. The best of the group here is the Exerpeutic 900XL, and specifically the extended capacity version. It’s comfortable, easy to use, reliable and is packed with features. We’ve also highlighted the most important senior-specific features so if you like, you can use that advice to find an alternate pick of your own choice. Find out more in our piece on the best recumbent bikes for seniors. Finally there are the recumbent home bikes, meaning those made for home use. These don’t need to handle a constant battering like more expensive gym equipment does, so you can save some cash and get a more specialized machine. In this area I would go with the Schwinn 270 because it’s sturdy enough for long-term home use and does everything I would ask for in a bike. There are some alternative options depending on your needs, like theExerpeutic ExerWork, and tips on what makes a good home recumbent bike. Find out more in our piece on the best recumbent bikes for your home. 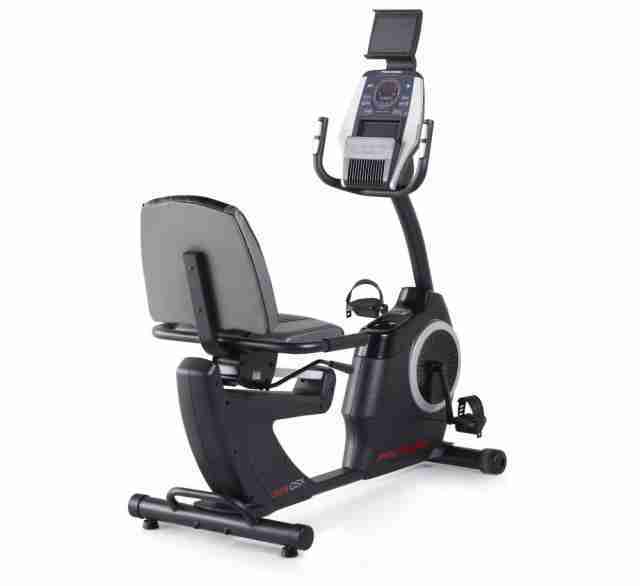 Star Trac are a big name in exercise bikes, considered amongst the best manufacturers around. They have a variety of spin bikes, such as the Star Trac Spinner Pro and theStar Trac Velo amongst others. Comparing the good, bad and ugly of their entire range took quite a lot of research and testing, but we managed to do it. Comparing the different drawbacks and benefits of each model will let you make a good, informed decision. 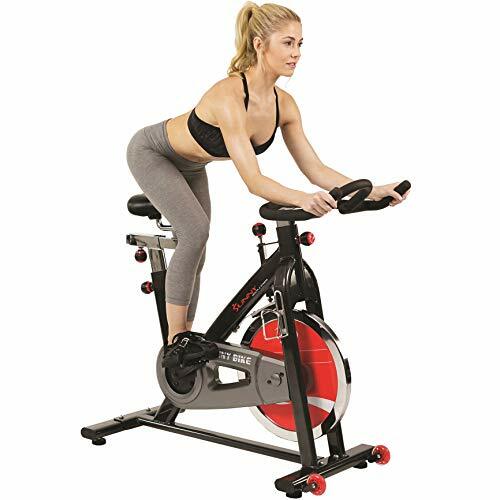 Read more in our Star Trac Spin Bike Reviews. Precor are another company with some top quality spin bikes. They have two main versions, the Precor Shift and the Precor Ride, both good bikes in their own right. A side by side look gives you a way to see exactly what the difference is, and which to go with. Schwinn produces the 230 and the 270, both great bikes in their own ways. For most people we would recommend the Schwinn 230 but in this case, it really depends on what level you’re at and what you need. TheSchwinn 270 could be a better pick for certain types of user, so join us for a detailed look at the differences between the two. Schwinn does have a whole other range of bikes too, including many more recumbents. This breakdown is for those who want a 200 number but aren’t sure which to go with. For other models you could check some of our other articles. Likewise check out our article for a more detailed look at the Schwinn 230 vs 270. Want an Exerpeutic Recumbent, but not sure which to get? Let us explain how the 900XL and 1000XL compare with each other in simple terms, so even a novice bike user can understand the differences. Exerpeutic bikes are popular in all styles, not just as recumbents. They also do uprights spin bikes, and have a great reputation for quality. Our review gives you the specifics on both types of bike and how they differ so you can decide which model is for you. Take a look at our Exerpeutic 900XL vs 1000XL Review.